ULKC provides a calendar of events which includes training for personal, leadership and safety skills. The club is very strong in provision of safety and leadership skills and has a calendar of events which provides space for personal skills development. We recognise the invaluable contribution made to the club by its members in terms of passing on these skills. The development of any individual’s personal skills must not be hampered. To that end we permit use of kayak club equipment for use by members in club trips which fall outside the base club calendar. These trips can be organised “on spec” often based on the unpredictable nature of available paddling conditions. To define a procedure which lets people be able to have club equipment for paddling outside of calendar trips (i.e. to go paddling “on spec”) while maintaining traceability of boats and with primary focus on safety. A club trip is any trip in which any club member uses club gear. The member must meet the requirements outlined below. Failure to comply with the policy equates to a failure in making the on spec trip a club trip and therefore should not be using club equipment. Members must have the trip approved as a club trip by discussing the trip with a core committee member. A list of core committee will be available in the boathouse. Ratios; there must be a ratio of 1:1 where there is one member who has passed proficiency assessments equivalent to the grade of water being paddled to one member who is less experienced. River levels: the river in question has to be assessed on the day and paddled ‘within its grade’. If the river looks high, the river grading may have to be adjusted upwards. This has to be reflected in group members’ proficiency levels. Previous experience; in addition to proficiencies members need to ensure that there is sufficient experience in the group. Paddling members should have previous experience of similarly graded rivers. “Out Back” solo paddling (Long Distance); Solo paddling on Grade 1 is low risk both in terms of likelihood and magnitude of any dangers. Despite this we regard it as necessary to take a cautious step by requiring paddlers to go a step further in skills requirements by needing a minimum of level 3 proficiency and an RSR course (or equivalent). The Safety Training and Development Officer or captain plus one other committee member has been notified and has given approval. Our members incur significant expenses every year on account of travelling to different rivers around Ireland. Car running expenses include diesel / petrol cost and tolls are one of the club’s largest controllable expenses. The purpose of this policy is to establish defined guidelines for what is an expensible trip. As a club, we must use our best judgment keeping in mind that while individual items may appear small, in the aggregate they have cumulative and significant impact on the clubs’ finances and members. It is up to the person seeking reimbursement to help the University of Limerick Kayak Club Committee to reimburse them by following the guidelines outlined in this policy. Questions relating to the policy should be addressed to the Chairperson (Captain) and the Treasurer of the club. The facilities under these guidelines will be available to members who have incurred costs on designated UL Kayak Club trips as agreed upon and approved by the Safety, Training and Development Officer and another Core Committee Member. The policy is applicable only in relation to reimbursement of diesel / petrol expenses and toll expenses. Other expenses in relation to travel (e.g. driver expenses, repair maintenance, cleaning, insurance, road taxes, parking charges, speeding fines etc) are not covered by this policy. Requirements to claim a fuel expense. It is the drivers’ own responsibility to make sure that the receipt is given to the treasurer in reasonable time and that the requisite information is written on the back. This information helps the Treasurer know who to transfer money to and how much subsidy to give. The receipt is put in to our club budget. It does not look good if there is bottles of coke, pick n’ mix or a jar of pasta sauce on these receipts. The only exception to this is if you are buying river snacks for the weekly Castleconnell trip or on a Club weekend away. The club encourages a policy of carpooling where possible. The committee trusts members to use their best judgment in deciding what is most Cost efficient, sensible and environmentally friendly way of getting to and from the river. If you are not filling your car for personal convenience the expense is then a personal one. There will be situations where for some reason or another you won’t be able to have full cars, but it is expected you do your best to do so. How to Fill up your Tank. The preference is that someone would completely fill their fuel before going and refill fully, so we accurately know how much fuel was used and how much to reimburse you by. note what level your fuel gauge is at, fill up the car to this level after the trip. Driving on a Club Weekend Away. For weekend or longer club trips, the committee will choose drivers and vehicles ensuring everyone, and all gear, is catered for. Those asked to drive will be given as full a car as is deemed necessary by the committee and will then get subsidy. Where someone chooses to drive for their own convenience, although a space was allotted for them elsewhere, a subsidy will not be given, unless agreed beforehand with the trip leader/treasurer. In this case a reduced rate of subsidy may also be agreed. Guidelines for How much subsidy Given Broken Down by Club Trip. Castleconnell As CC is mainly a teaching river, all fuel expenses will be covered from UL to CC. River snacks can also be covered for the weekly club river trip. Clare Glens As the Clare Glens is our only local level 4 river, a full subsidy will be given to encourage those eligible to bring out the paddlers who are a high enough of a standard. Club Weekend Away These shall receive a full subsidy to the fuel. C&S Vehicles should primarily be used for theses trip. All decisions in relation to reimbursement are ultimately up to the discretion of the Captain and Treasurer together. If you have any queries, please do not hesitate to ask. 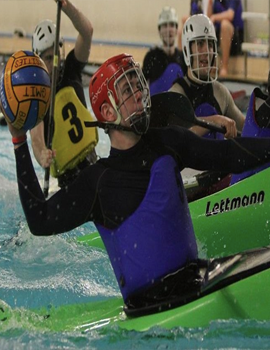 UL Kayak Club has in in excess of 400 registered members in any given academic year, the club provides routes and options for training and developing skills whether locally on the river Shannon or on some of its international trips such as The Alps, Scotland, Wales or further afield. Due to capacity limits on these trips it’s not possible to take every member of the club that wants to go. These trips are limited by safety ratios on rivers, spaces in vehicles and general logistics of a trip organised by volunteers. It is also important to note that these trips are usually subsidised by capitation provided by UL Students’ Union and this subsidy must be used effectively. Trips are also limited by the availability of Experienced River Leaders and Advanced Intermediate Paddlers known as Seconds. River Leaders are defined as a person who is competent to instruct and lead a group of intermediate/beginner paddlers down a river suited to their skill level. Leaders should have the relevant qualifications and experience as outlined ( here and or in our Safety Statement). 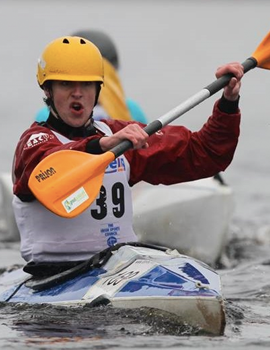 A Leader is to be a Level 4 standard as accredited by Canoeing Ireland or equivalent. A Second is defined as a person who is competent to look after themselves in Grade 3+ Water and be capable of assisting in a group with beginners present . 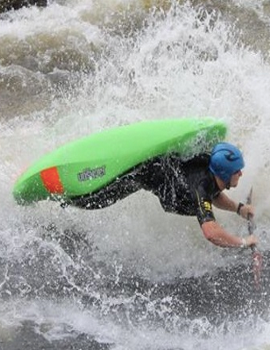 A Second is to be a Level 3 standard as accredited by Canoeing Ireland or equivalent. While every club trip offers the opportunity to develop one’s kayaking skills international trips are most definitely set out with the intention of developing every member that goes on one.The purpose of the trips overseas are to build on the development of the members that have committed to the UL Kayak club in its domestic program . Beginners & Seconds are assessed on their commitment to the club, have they shown a genuine interest in the sport, will they benefit from the oversea experience. Beginners & Seconds past club involvement in its domestic trips program is examined on application of international trips. Experienced River Leaders are an essential component of oversea trips. Leaders are assessed on their commitment to the club over the past 12 months in its domestic & international programs. Has the River Leader been actively engaging with club members in the context of teaching,instructing or assisting on domestic river trips or during pool time training. The intention of this policy and guidelines is to make the application and selection process for larger trips easier and provide a fair chance to all members that wish to go on a trip. This policy is applicable to all trips by the club that has competitive applications from its members and aims to develop those on it. The ultimate decision whether a member is allowed to go on a trip, or portion of a trip, lies with the committee of the University of Limerick Kayak Club. The membership types of those going on a trip should reflect the memberships of the club. E.g. percentage of undergrad students, percentages of external members. Members should show that they’ve made the best of their opportunities locally with the club. Those going on a trip should be of a suitable level of proficiency to make the most of the trip. Members going on the trip must have contributed to the club in a suitable way (teaching, packing, cooking, cleaning etc.) in its day to day operations or on previous trips. In the event of a member applying to go on an annual trip for their second or subsequent time they must show a suitable level of improvement and / or effort between trips. Due to the time sensitive nature of organising international trips it a candidate is deemed unsuccessful in their application they must submit an appeal in writing to the committee within 5 days of being informed. Payments for trips must be made promptly in order to get the best value. A deposit must be paid on application for the trip or within a reasonable time of the trip selection being completed. The choice between these two options should be made by the committee and communicated in the trip announcement as well as the amount of the deposit. The amount of the deposit should cover any expected non-recoverable costs should a person drop out. E.g. flights, ferry bookings, accommodation or extra fuel costs as a result of an empty seat. Deposits may be returned when the costs are recovered by the club. In the event of a participant choosing not to go on a trip after applying they will be held liable for the full deposit for the trip. If a person owes the club money either due to not paying fully for a trip or not attending they may not be allowed on any other club trips until payment of the balance is arranged. Members from waiting lists to be offered a place. An opportunity to cancel bookings or recover costs. To best manage the process a sub-committee should be established for each trip where this policy applies. The recommendation of this committee should given to the committee of the club to approve or give feedback. 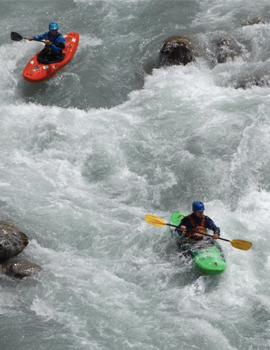 Generally, for May/June Alps trips it would be expected that all members going on the trip would be at a Level 3 Kayak skills standard as defined by Canoeing Ireland or equivalent. Applications for a trip should close with enough time to enable an appeals process before making bookings that will be cost / individual sensitive (e.g. plane tickets) this is to ensure that all members going on a trip share the cost fairly. This document should be provided in the application for a trip where it applies.